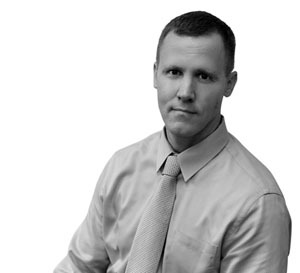 Charles Vincent George Architects is pleased to announce Mr. James Thormeyer has joined the firm Senior Project Manager. In this role, Thormeyer will be responsible for Client Management and team leadership on high profile commercial design work as well as assisting with the strategic expansion of the firm. Thormeyer graduated from the University of Illinois at Urbana-Champaign with a Bachelor of Science in Architectural Studies in 1995 and a Master of Architecture in 1997. Prior to accepting the position, Thormeyer guided the retail market sector at OKW Architects based in Chicago, IL. Over a 13-year career at OKW, he grew from Project Architect to a senior management position as the studio leader of 20 employees. Thormeyer’s proven track record of success in the field of architecture will be invaluable in meeting the strategic expansion goals of Charles Vincent George Architects. Thormeyer, a 14-year resident of Naperville, noted, "When Bruce and I first discussed a position with the firm, I knew right away that it was a great fit. Charles Vincent George’s reputation in the west suburbs is substantial. I knew that I could position myself to work on meaningful projects, meet my desire to work closer to my family, and satisfy my goal of increased civic engagement in the community in which I reside." Charles Vincent George Architects have been based in Naperville, IL for over 56 years and its ownership and staff have taken leadership in many of Naperville’s Community Business and Service organizations such as the Chamber of Commerce, the Central Area Naperville Development Organization, Naperville Rotary Clubs, Exchange Club and more. CVG Architects cannot be happier in bringing on another high level corporate leader that shares its ideal of service to their community. We welcome Jim Thormeyer and have all the confidence that he will be an excellent match and a strong asset to the CVG architectural team. Jim can be reached at 630-357-2023 or at jthormeyer@cvgarchitects.com.